By Sinead Love | March 1, 2011. This March, the Olympia Theatre will host a concert like no other in order to pay a special tribute to the sick mothers and children in Dublin. 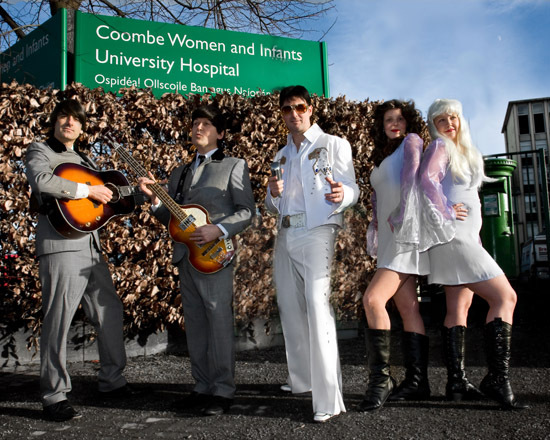 The purpose of this concert is to raise the vital funds that are needed for the Neonatal Intensive Care Unit at The Coombe Women & Infants University Hospital. 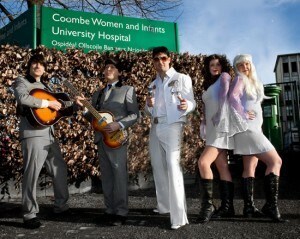 It will pay special tribute to three of the world’s biggest stars to date – ABBA, The Beatles and Elvis Presley. The concert will take place on Sunday, 20 March 2011, and fans of all ages are welcome to enjoy some legendary hits by three of the world’s greatest musical legends, including Suspicious Minds, Dancing Queen and Hey Jude. Dr. Chris Fitzpatrick, Master of The Coombe Women and Infants University Hospital spoke about the need for the unit. This event is organized by Friends of The Coombe in order to raise funds to provide a Respiratory Support Ventilator for the hospital’s Neonatal Intensive Care Unit. This device costs €51,000.